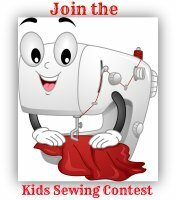 Before you get started on kids sewing projects collect your basic supplies. 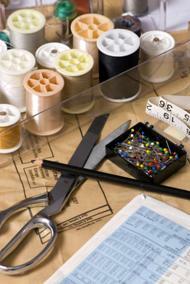 Buy a simple box, plastic container or a special basket to store your machine supplies and hand stitching supplies. 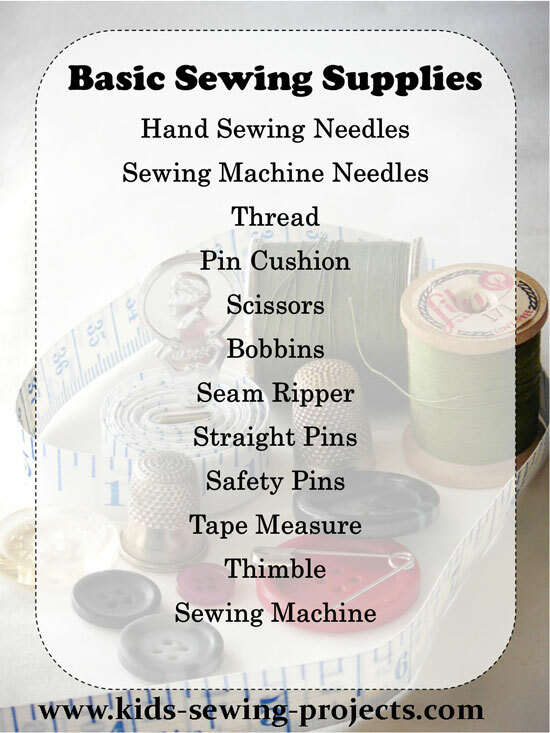 Here are some ideas of basic items to stock your sewing kit. Buy a package with several hand sewing needles. Buy several different colors to go with different projects. Buy or make your own pin cushion. Don't use scissors you would use for cutting paper. Buy a special pair of scissors and use it only for sewing projects. 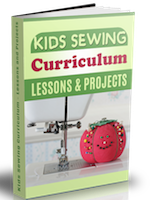 Once you've mastered hand sewing you will start learning to sew on the machine. I recommend getting a simple machine not a children's machine. Buy a machine that can do lots of different stitches but not too complicated. Depending on your project you will want thread to match your material. You don't have to match exactly however. Black or navy goes well on most dark fabrics and white can be used for most light materials. You will use the thread you've already bought to fill your bobbins. Making mistakes is part of sewing. Even master sewers make errors and sometimes have to rip out their stitches and start over. You can use larger pins called quilting pins or normal straight pins. Sometimes I use both depending on the project. These come in a package with different sizes to be used depending on your thickness of material. I use a quilting clear ruler to measure a lot. Also used to measure your material. Don't forget your scissors from your hand sewing list above. Whether it is a large table or just a corner of the table you need a place where you can cut out material and have room to sew. Don't forget to read your pattern or instructions for items you will need. Back to homepage from basic sewing supplies.